04/12/2018 When selling a house, it’s important not to neglect the bathroom. A bathroom can make or break a sale and buyers are emotionally attached to this space in the home. You may wish to let the new buyer deal with upgrading the bathroom themselves; but be aware that you are likely to feel the effect on your asking price. A better option is to find inspiration from Villeroy and Boch bathrooms and dazzle your potential buyers with a perfect finished bathroom come viewing day! A very simple way of transforming a bathroom into a home spa is with the addition of a freestanding bath or replacing toilet. With this one simple change the space will become more luxurious and desirable and potential buyers will find the charm hard to resist. The freestanding bath oozes quality and upscale living, it really is a must when upgrading. Below is a small selection of freestanding bath tubs and villeroy and boch toilet that are all available from Villeroy & Boch bathrooms. If you like curves and would like to soften your space, a good option is the Aveo from Villeroy & Boch bathrooms. The curved design of the oval freestanding bath works well in smaller sized bathrooms. 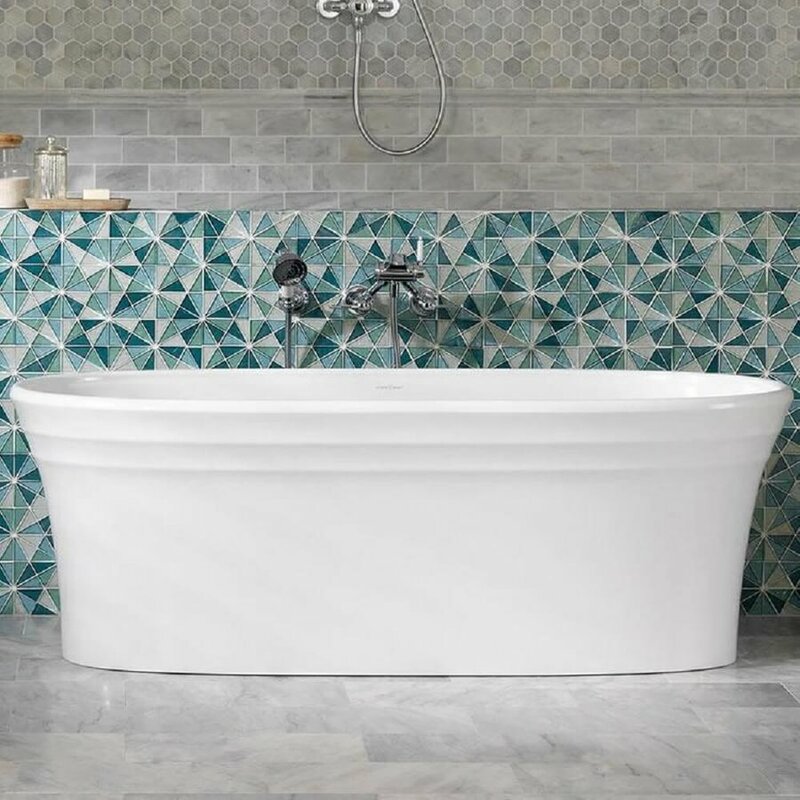 The softened lines of the freestanding bath create a comfortable and relaxing space that buyers will fall in love with. The result is a bathroom that would make even the pickiest buyers seal the deal. The Finion from Villeroy & Boch bathrooms is a contemporary bathtub that commands attention. This exquisite bath will be the main focal point of the bathroom. The deep sides urge you to spend a long time relaxing and getting rid of the stress of the day. The bathtub can be used by two people, making it a brilliant choice for loved up couples! Make a lasting positive impression with buyers by choosing the Squaro Edge 12 from Villeroy Bathrooms. This is a bath that is available with either a white or a black bath surround. The black is a wonderful option if you want to steer away from all white space. The black surround makes the white of the bath stand out and give the space a strong contemporary feel.